Rescue the Rescuer host, Stephen Kavalkovich, introduced us to first responders Ben Vernon and Jared Cheselske. 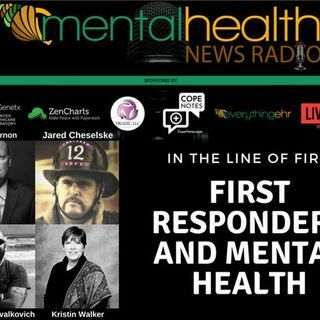 We sat down for a live interview to discuss their journey as fire fighters and first responders who are advocating for everyone in their field to take mental health seriously. On June 24, 2015, Ben Vernon's life changed. While responding to a “routine medical assistance” call, he was stabbed multiple times by a bystander. The incident and the ensuing ordeal left Ben with a ... Más informaciones changed perspective. Ben shares his story so that others, who may be going through a similar situation, can know that what they are experiencing is not their fault and that they are not alone. He wants others to know the impact this kind of event can have on a person, and how best to help someone who is going through crisis. Jared Cheselske sits down for the first interview he's done on radio to discuss the multiple trauma's he's endured in his career and how they eventually took their tole on his mental well being. His story is like many other first responders who don't have appropriate access to mental healthcare or understanding around how to effectively handle the stress of their work.